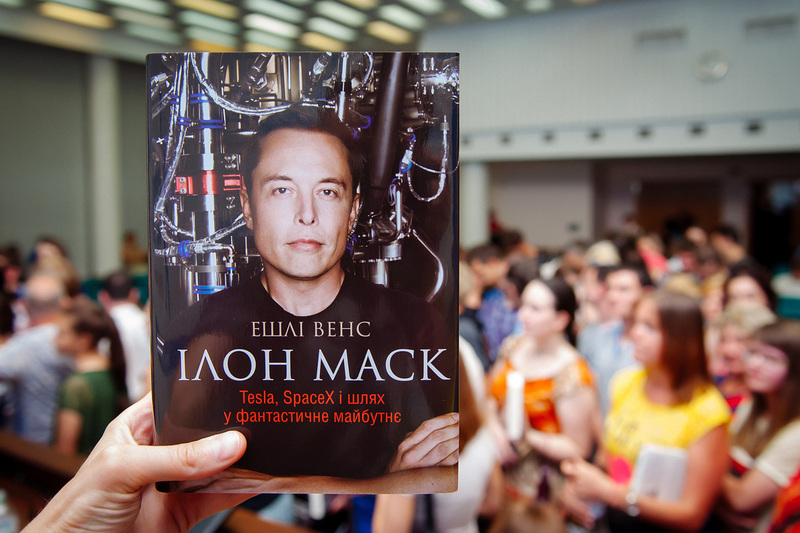 People of Dnipro met the author of Elon Musk biography book with the help of Noosphere. Ashlee Vance is a Bloomberg Businessweek journalist. His works regarding technology were published multiple times at The New York Times, The Economist, Chicago Tribune, CNN.com, Globe and Mail, International Herald Tribune and CNET. Ashlee’s #1 bestseller is a book about the life and work of Elon Musk — the world’s biggest influencer regarding space and technologies. The book is called “Elon Musk: Tesla, SpaceX, and the Quest for a Fantastic Future”. Ashlee Vance and his famous colleague — visual journalist Grant Slater (“If I Die on Mars”, “Citizen Mars”, “That was Then, This is Now”,“Mammoth”) are making a material about Max Polyakov and Firefly Aerospace. 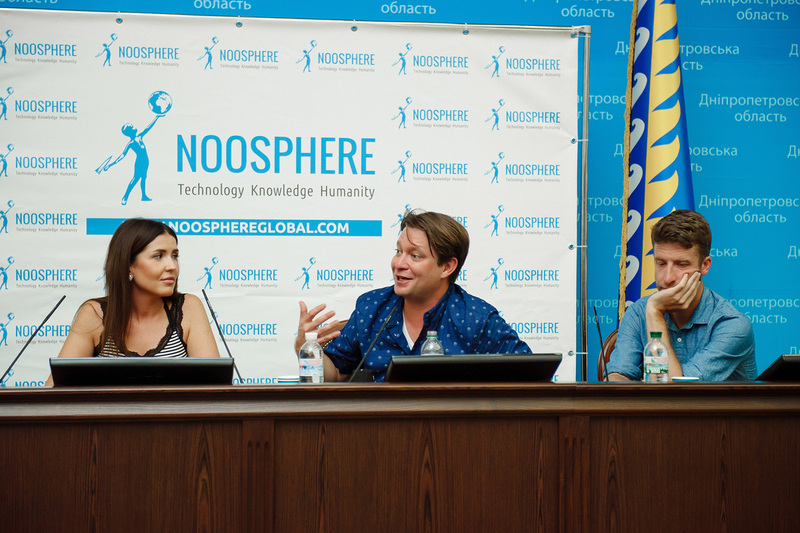 Noosphere managed to invite Ashlee and Grant to Dnipro. Keeping such talented people inside the office walls during their first and only visit to Ukraine was not the way Noosphere works. That’s why on the August 2nd Noosphere and Dnipro Regional State Administration organized a book-signing session with Ashlee and Grant. People from Dnipro and other Ukrainian cities gathered at the Dnipro State Administration building in order to meet Ashlee. The event started with a small entry word from Ashlee. After that, the audience had a chance to ask their questions for a little while. Ashlee has chosen three best questions and presented a signed copy of the book to askers. Ashlee shared a couple of interesting facts and insights about the process of creating the book and the personality of Elon Musk. In particular, Ashlee mentioned that Elon has a problem with self-management, but he accepts it and does his best to struggle it. Also, Elon was not happy with particular things from the book, which led to a small argue between him and Ashlee, but the book still was published without any editing from Mr Musk. Ashlee also expressed a wish to create a sequel book, even if Elon’s business will not go so well. As soon as the Q&A session ended, Ashlee started sharing autographs, taking pics with the audience and also continued answering questions. Everyone received Ashlee’s signatures. He only managed to leave the building at night, when the last visitor has gone with a signed copy of the book. 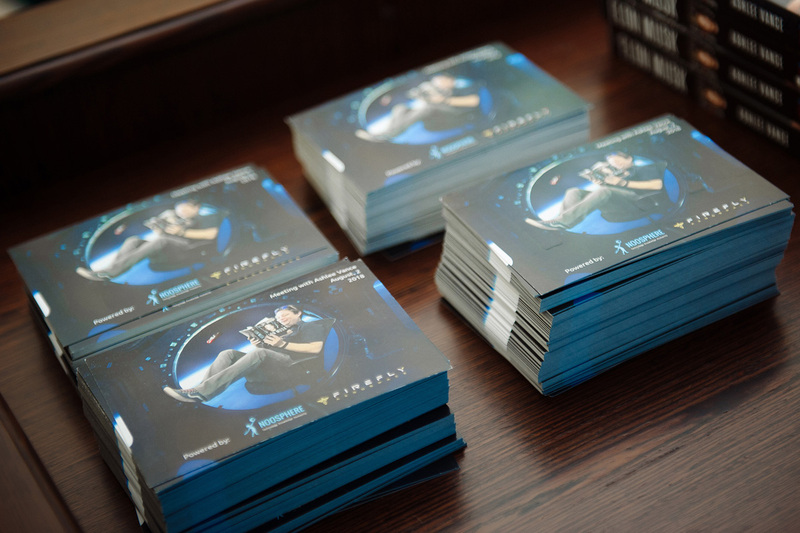 Noosphere is happy to see such a great anticipation and interest from the people of Dnipro and regions. The hall was crowded with more than 300 visitors of all ages. The book-signing session was covered by a multiple local media channels. Noosphere hopes to grow interest to people like Ashlee and Grant. Keep an eye on the news about their material regarding Firefly Aerospace.